[260 Pages Report] Paper coating materials are various minerals which are used to coat a base paper, in order to enhance its properties. These paper coating materials bring certain properties to the paper such as brightness, gloss, smoothness, etc. Paper coating materials can be classified into nine types, namely, GCC, PCC, Kaolin Clay, Talc, Starch, SB latex, Titanium Dioxide, Wax, and others. GCC constitutes the major share in the global paper coating materials market. These are widely used as pigments and therefore, are expected to grow aggressively in the next five years. Kaolin clay and talc are widely used as fillers in coating. The demand for these paper coating materials is influenced by the growing demand in end-user industries, especially the manufacturers of binding covers and corrugated boxes. Paper coating materials are application specific and are available globally. There are different grades of paper coating materials available in the market among the above mentioned nine types. Currently, paper coating materials are mainly concentrated in the Asia-Pacific and ROW, followed by Europe and North America. The Asia-Pacific and ROW markets are estimated to grow at a higher rate in the future. This report estimates the market size of the paper coating materials market in terms of value and demand, regionally and in end-user markets. The report provides a comprehensive review of the important drivers, challenges, and key issues in the market. This market is further segmented and forecasted for key regions such as Asia-Pacific, Europe, North America, and ROW. Top players of the industry are profiled in detail with their recent developments and other strategic industry activities. The segmentation by type of paper coating material in terms of consumption and value for each region is also discussed in this report. This report also includes the leading manufacturers’ profiles such as Imerys S.A. (France), BASF SE (Germany), Penford Corporation (U.S.), Omya AG (Switzerland), Michelman Inc. (U.S.), and others. The global paper coating materials market demand is estimated to reach 47,000 KT by 2019. Due to the recent global economic downturn in 2008, the paper coating materials witnessed a downfall of over 20%. The decreased market value is due to the reduction in the demand of coated papers which is the outcome of reduction in paper usage due to growing technological advancement and increased use of Smartphone’s and computers. Paper coating materials are various minerals that are used to coat a base paper, in order to enhance its properties. These paper coating materials bring certain properties to the paper such as brightness, gloss, smoothness, etc. The paper coating materials market is driven by a range of applications that increases the R&D efforts to make paper coating materials highly resourceful. The increasing demand for the coated paper industry is due to the increased population that finds them useful in many applications. Growing advancements and technological inventions in the market would be quite effective in the future. Paper coating materials have been well perceived in various dominant end-user markets in the last few decades and are expected to be used in the future for more diverse applications. Globally, the Asia-Pacific region dominated the paper coating materials market both, in terms of demand and value in 2013. China, South Korea, Taiwan, Japan, U.S., and Brazil are the key countries with emerging markets possessing a huge demand for paper coating materials. The Asia-Pacific region’s paper coating materials market value for end-use applications is estimated to grow at a CAGR of 4.1% from 2014 to 2019, which is higher than that of North America. The players in the market concentrate on launching low cost coating materials. Other development strategies adopted by the market players are agreements & collaborations and mergers & acquisitions. The paper coating materials market is continuously investing on research activities to create new compounds to minimize costs and environmental hazards. One of the major problems is the price range that makes selecting the material very difficult, so as to derive optimal cost effectiveness. The report analyzes the market on the basis of material types, penetration of each paper coating material in important regions, and every end-user market. It also covers the behavior of leading producers, key developments, and strategies implemented to sustain and succeed in the market. 9.6 Air Products And Chemicals Inc.
9.8 The Dow Chemical Co.
9.10 Roquette Group *Details Might Not Be Captured In Case Of Unlisted Companies. 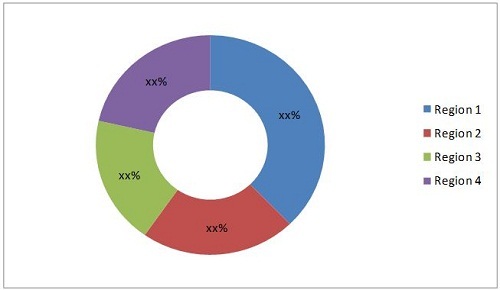 Figure 10 Paper Coating Materials Market Size For Important Countries, By Type, 2013 Vs. 2019 ($Million) Contd.